In his LP liner notes for "Sugar", my dear friend and top jazz historian Ira Gitler wrote: "Both organist Butch Cornell and drummer Billy Kaye are members of Turrentine's present combo. Cornell, Chattanooga born, was found by Stanley in Harrisburg, Pa. He was formerly with Willis Jackson. The particular clarity with which he articulates his lines is refreshing." 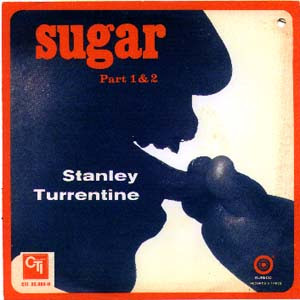 "If ever there were a record that both fit perfectly and stood outside the CTI Records' stable sound, it is Sugar by Stanley Turrentine. Butch Cornell's 'Sunshine Alley' is a solid, funky groover, paced by organ and double fours by Kaye. Turrentine and Hubbard stride into the melody and keep the vamp in the pocket, riding out past the blues line into a tag that just revs the thing up even further," jazz connoisseur Thom Jurek wrote in his review for the All Music Guide. 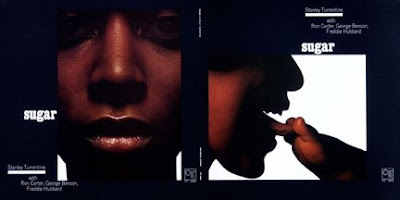 Curiously, although having performed with Turrentine on live gigs for a decade, and despite the big critical and commercial sucess of "Sugar" (the LP reached the Billboard charts as #3 Jazz Album, #29 Black and #182 Pop Album! ), Cornell was not invited by CTI's head Creed Taylor to take part of any of the Stanley albums that followed (with such keyboardists as Horace Parlan, Eumir Deodato, Richard Tee, Bob James, Harold Mabern and Herbie Hancock). Neither Turrentine invited him to the many other sessions he did after signing with Fantasy Records in 1974. Bio: Butch Cornell was born in Chattanooga, Tennessee. He began his musical career at the age of 10, studying classical piano with Mrs. Lillian Cadek Dame of Cadek Conservatory. He credits his aunt Rinaldo Anderson for his earliest musical experiences. He began working with Charles Young (Saxophone) and the Pace Setters Band (which also featured Joe Burke on Drums and Joe Bennett on Bass) in and around the Chattanooga area at the age of 14. 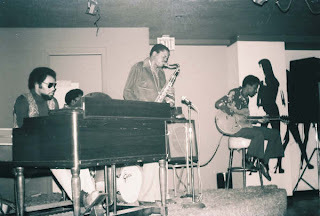 After graduating from Howard High School, Butch moved to Harrisburg, PA where he formed an Organ (Hammond B-3) Trio and worked several club dates and concerts on the east coast and in the mid-west. His first recording sessions were with Willis "Gator" Jackson and Boogaloo Joe Jones. In 1970, Butch moved to New York City. During this time, Butch met and worked with several top-rated musicians and singers. 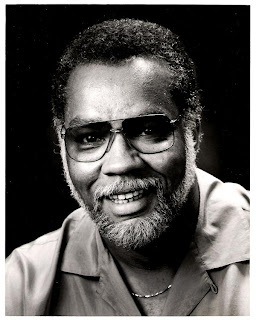 He started his long association with Stanley Turrentine in September of 1970, and two months later he recorded the classic "Sugar" album for CTI, which included Cornell's own composition "Sunshine Alley." Since that time he worked with Freddie Hubbard, George Benson, Grover Washington Jr., Plas Johnson, Wilfred Middlebrooks, Arthur Prysock, Ernestine Anderson, Alice Day, George Coleman, Kenny Burrell, Woody Shaw, Billy Cobham, Johnny Lytle, and many lesser known artists. After returning to his native Chattanooga, Butch founded a jazz society called "Friends of Jazz, Inc." and became the organist of the Prospect Baptist Church. He died of kidney failure. Randolph, David C. "Butch Cornell" Jr.
David C. "Butch Cornell" Randolph Jr., 67, of Chattanooga, died on Sunday, Dec. 7, 2008, at Parkridge East Hospital. Butch was of the Baptist faith and attended Prospect Baptist Church. Butch was also a renowned jazz musician and composer. Butch played both the organ and piano. He was preceded in death by his father, David C. Randolph Sr.; brother, Benny Randolph; daughter, Robin Carter. He is survived his mother, Katherine Davis Randolph; sons, David Randolph III, Patrick Randolph, Sulaiman Randolph; daughters, Jamila Randolph Battle, Samira Randolph, Cathy Randolph, Cynthia Randolph, Pamela Randolph, Daphne Scott; several grandchildren and great-grandchildren. Funeral services will be at noon on Friday at Prospect Baptist Church with the Rev. Jay Trimble officiating. Visitation will be from 10 a.m. to noon on Friday at the church. In lieu of flowers, please send donations to his daughter, Jamila Randolph Battle, 2600 Garden Hill Dr., Apt 103, Raleigh, NC 27614. Arrangements are by J. Avery Bryan Funeral Home, 747 McCallie Ave., 423 266-2131, http://www.javerybryan.com/. "a mother licking a baby’s foot"